The Public Information Office reports the details of an Animal Rescue that occurred on Wednesday, July 1, 2015 at 10:16 p.m. in Bayville. Bayville, NY - July 2, 2015 - The Public Information Office reports the details of an Animal Rescue that occurred on Wednesday, July 1, 2015 at 10:16 p.m. in Bayville. According to police, Nassau County Police Officers from the Second Precinct along with members of the Bayville Fire Department responded to 8 Bayville Avenue for an auto accident. Upon their arrival it was discovered that a pole that contained a nest of Osprey birds had been knocked over resulting in the nest falling to the ground. A Nassau County Ambulance Medial Technician, Chiefs’ Caso, Orski and Vitteritti from the Bayville Fire Department rendered assistance to three baby Osprey in the nest. A representative from the Bailey Arboretum, Locust Valley responded and removed the four week old birds. Two Ospreys are receiving care. The third bird expired. 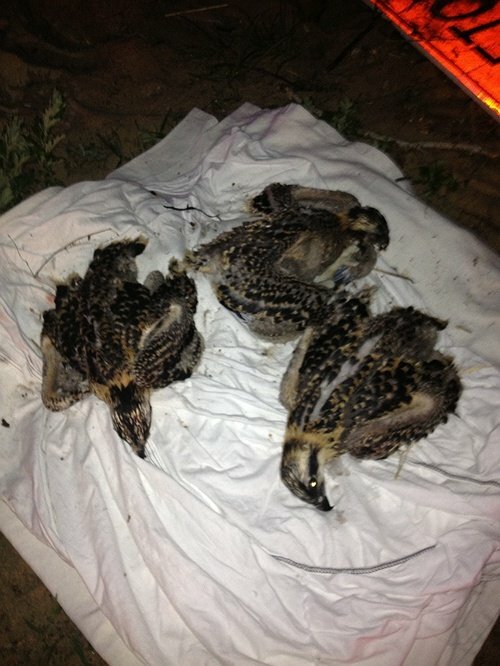 Subject: LongIsland.com - Your Name sent you Article details of "Bayville Auto Accident Causes Osprey Birds Nest to Fall to Ground, Nest Contained Four-Week Old Birds"